Here’s the truth. When I found out I was pregnant, I assumed I would know exactly what I needed to create a healthy growing place for my little babe. After all, I’ve got a few degrees in nutrition and have been an RD for a decade. I spend so much time flipping through the latest research and feel like I have a pretty good handle on the latest in nutrition science. If there’s a subject I should know, this should be it. Well, that may be true. In matters of gut-health, plant-based nutrition and intuitive eating- my speciality areas of practice. But when it comes to pregnancy and infant health, you know nothing John Snow, I had a lot to relearn. Therefore, I’d like to share some of those findings with you. For those of you who are trying to get pregnant, would like to become pregnant at some point or know someone in these stages. I’m writing this from the perspective of a vegetarian as that changes a few of the nutrients involved, but not by much. Regardless of your diet, can benefit from these key nutrients since the recommended guidelines are the same for vegans, vegetarians and omnivores. I approach nutrition from a nutrient standpoint- I’m not as concerned of where these nutrients are coming from, as long as you are getting them. Therefore, you could make the case to receive all of these nutrients in food form or as a supplement. As long as you are getting them, there isn’t a more preferable route. At a basic level, prenatal vitamins are different from regular multivitamins in that they usually have higher levels of folate/folic acid and iron, two needs that increase during pregnancy. Typically, I don’t love multivitamins with iron; my rule of thumb usually being “prove to me that you need it before you take it.” However, since iron is so essential during this time and since it can be harder to absorb in a plant-based (non-heme) form, I’m been taking a prenatal with iron since we decided to start trying again. This is the one that I take and what I’ll be referencing below. Pregnant women have one of the highest demands for iron, thanks to an increased blood volume and fetal development (and, after birth, with blood loss). As pregnancy progresses, iron needs also increase. Like in most nutrient cases, baby is taken care of first. Mom’s iron stores will usually meet the demands of baby, with mom’s needs coming in second. It’s pretty cool how nature is such a fierce protector of the babe, even in the womb. In general, since I’ve been prone to iron-anemia a few times in my life, this is one test I get checked fairly often (every six months or so). I like knowing where my stores are at as I don’t like taking iron if I don’t need it. With pregnancy, I knew that I would need more than is typically found in my diet and found a great prenatal from a brand I trust that meets my needs. For non-vegetarian women, the recommended dose is 27mg starting at week 12 gestation (though it’s OK to start earlier, especially since most women don’t know they are pregnant until weeks 4-5). Vegetarians and vegans need more iron, though the exact amount isn’t concrete during pregnancy. My prenatal includes 45mg of chelated ferrous iron, which is an amount I feel comfortable with. You CAN get iron in your diet, though I’d recommend being monitored more closely if you are going the sans-supplement route. Food sources include spinach and other leafy greens, dried fruits, beans, peas, tofu, seeds, nuts, fortified milks and cereals. This may be the strongest reason to take a prenatal if you are planning on getting pregnant as a folic acid deficiency increases the risk of neural tube defects (you’ll want it around the time of conception). The recommended level is 600mg per day, which can easily be found in the diet but again, let’s make absolutely sure if you are going the sans-supplement route. It’s OK to get more than you need, so I do both. Folic acid is present in many fruits and vegetables and whole grains. In fact, most grain products are fortified with folic acid, to help insure that everyone is getting enough of this nutrient. My prenatal contains 1g (1000mg) or folate. Folate is vitamin B-9 and is the form found naturally in foods. Folic acid is the synthetic form of folate, found in supplements and also added to processed, or “fortified,” foods. Please don’t be scared of the idea of synthetic, it’s not a bad thing. Whether you get your nutrient in supplement or whole food form, the body will be able to convert it. Unless. Roughly 40-60% of the population has a genetic polymorphism that impairs or decreases the conversion of folic acid to the active form, l-methylfolate. If you’ve ever been tested for MTHFR gene, this is something to consider and discuss with your health care practitioner. After we went through our second miscarriage, I had every test under the sun done- including genetic testing for both BL and I. I know this isn’t realistic for everyone and it’s doesn’t hurt to take the activated version of B vitamins just to be safe. There is some correlation between MTHFR and fertility, so I opted for the methylated version of these vitamins just be safe (even though I didn’t test positive for the SNP). So, another thing to consider when choosing your prenatal. Some prenatals will add everything and more, including essential fatty acids, probiotics, a stool softener, enzymes, the works. I’m not a big fan of these all-in-ones as it’s hard to absorb all that you need and you might be getting other nutrients that you don’t need. Plus, sourcing and quality for ALL of that is almost impossible. Therefore, I prefer to do add on’s instead of getting all of them in one. 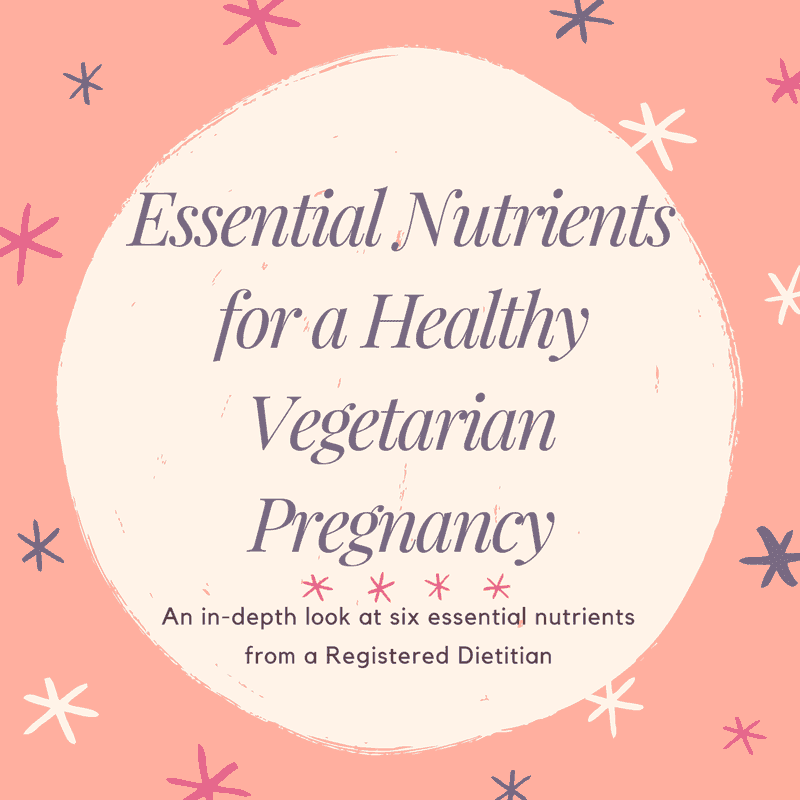 I mentioned this in my first-trimester essentials post, as it was something I wasn’t really familiar with until I started researching pregnancy nutrition. Though some prenatals will offer choline in their formulas, I prefer to add on a separate pill to make sure I am getting enough. Recent research published in the American Journal of Clinical Nutrition (AJCN) found that during pregnancy, and particularly during the third trimester, large amounts of choline may be needed to support fetal development, especially in fetal and infant brain development. Additionally, choline deficiency in pregnant women may result in elevated levels of homocysteine, potentially resulting in birth defects. Again, choline can be found in food, the most common source being egg yolks. Since this nutrient is of such importance, I take a daily supplement to make sure I am getting enough. Check your prenatal first to see if it contains Vitamin D, as many of them will even up to 100% of the RDA. The one I take contains 1000IUs of D3. Since vitamin D is not normally found in vegetarian foods (or in most foods, for that matter), I want to make sure I’m getting a source of it daily. Of course, you can get this nutrient from being outside, depending on the time of year and where you live. Like iron, you can easily confirm your status with a simple blood test if you want to know where you stand before you start supplementing. The Recommended Dietary Allowance (RDA) for pregnancy—5 micrograms (200 international units [IU])—is the same as for non-pregnant women, but many researchers argue that this is too low. Therefore, I feel comfortable with my 1000IU intake a day. Many fortified foods contain vitamin D, such as soy milk, breakfast cereal, orange juice, and bars. Note that in most cases, vitamin D3 is derived from animal sources, so strict vegans/vegetarians will want to choose a D2 version. However, D2 is not as well absorbed as the D3 form, so if you go this route then I recommend getting one at the higher end of the recommended range (400-600IUs or higher). This was another wake-up call for me, as needs for EFA’s change during pregnancy, lactation and once baby starts on solid foods. In general, most of us eat too many Omega 6 fatty acids and too little Omega 3 fatty acids, which can shift inflammation from anti- to pro-. That’s not to say that omega-6’s are bad. They aren’t! We need them as we can’t make them in the body, but the ratio is often off. So, it’s important to consider overall diet when you think about where you need to supplement. The ideal ration should be between 1:2-4:1 omega-6 to omega-3, with most Americans (vegetarian, vegan and omnivore) getting roughly 20:1. Some studies show that vegetarians may skew this higher, with a greater intake of omega-6 fatty acids and lower intake of omega-3s. As I explained in this post on omega-3 fatty acids and vegetarian diets, not all are created equal. Docosahexaenoic acid (DHA) is a necessary part of cell membranes and is important for brain development and vision. While vegetarian and vegan diets tend to be rich in ALA (which converts to DHA), I’ve started taking an additional DHA supplement to ensure that I’m giving myself and baby all we need (especially since excess omega-6 fatty acids can reduce conversion of ALA to DHA). Any plant based omega-3 is dependent on the FADS2 gene to convert ALA to DHA, though most of us can do this. Because of the conversion, ALA requirements are approximately 4 to 5 grams per day (nearly double the amount of non-pregnancy needs). Good sources include flaxseeds/flaxseed oil, hemp seed/oil, leafy green vegetables, soy products, milks fortified with DHA, walnuts, and rapeseed (canola) oil. However, because it may be challenging to meet these needs, a DHA supplement providing 200 to 300 milligrams per day is often recommended for pregnant women. I take this one from Nordic Naturals, which contains both DHA and EPA. Even though this isn’t a typical nutrient of concern in pregnancy, I’m putting this here because I believe it needs to be stated again and again for anyone following a predominately plant-based diet. Since B12 is found naturally in animal foods, it makes sense that those of us who don’t eat meat/limit animal products will have a hard time getting in enough B12 in the diet. Therefore, a supplement is absolutely necessary to achieve the recommended intake of 2.6 micrograms per day for pregnancy. Since you need this nutrient daily, I don’t like relying on fortified versions as I can’t guarantee that I’m going to eat enough of them every day. Also, please don’t rely on the idea that tempeh, sprouted beans, algae or sea vegetables are good sources of B12. They are not and, as these foods may contain B12 analogs can actually block B12 absorption. My prenatal contains 200mcg of B12, though you can take an additional supplement if yours doesn’t. Whew. I know that’s a lot of information, so hopefully it was informative and not overwhelming. As always, let me know if you have any questions on this topic (or others surrounding pregnancy/infant nutrition as I will have more posts on these subjects in the coming months and years). And, in full disclaimer, it’s always a good idea to discuss all supplements with your MD/Midwife before taking. Just wanted to add that I actually have a MTHFR mutation, and my maternal fetal medical specialist said that either form of folate is fine. There is just so much conflicting information out there on this; I didn’t remember I even had this mutation until I was about 12 weeks and I was seriously freaking out. Thanks for the comment Kara. I think the best advice is to discuss all supplements with your health care provider, as recommendations can differ based on your health history and current labs. The mutation is not just about folate, but also a balance with other B vitamins. Thanks for the reminder to put this disclaimer in! Good luck to you in your pregnancy!